Extracting the cardamom seeds: Using a mortar and pestle, pound the pods several times and the pods will release their seeds. Pick out the shells and discard them. Grind the cardamom seeds into a fine powder. Crush all the nuts and set aside. Place a candy thermometer on the wall of a saucepan, combine the sugar (without any water added), and corn syrup over high heat. It's important to carefully watch the pan; as soon as the edges of the pan start caramelizing, immediately lower the heat to medium-low and continue cooking for about 2-3 minutes (see tips). When all the sugar is an amber color, stir well using a silicone spatula and cook until the temperature reaches 305°F (150°C). Remove from the heat, pause for about 30 seconds, then slowly add the butter , ground cardamom and fleur de sel (be careful of splattering when the liquid is added). Stir constantly with a clean silicone spatula. Bring back to the stove using the lowest setting, and add the heavy cream little by little. Turn off the heat when the temperature reaches 250°F (122°C). 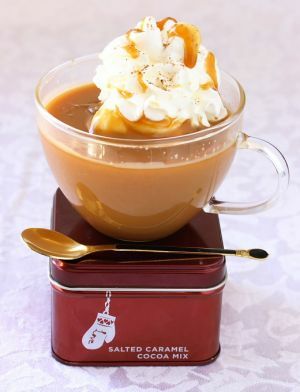 The caramel should be smooth. Let the sauce cool down a bit. Add honey, dry milk powder, cardamom extract (if used) and vanilla powder. Stir well. Place the chopped pecans in the cavities of the mold (see tips), diving among 34 cavities. Pour the caramel into the cavities. Cover with a mesh umbrella food cover (optional, depending on the weather, especially during the summer because of bugs) and let sit in a warm, dry area for 12 hours (overnight). Once the caramels are dried (less sticky to the finger), unmold them; they should be firmer than the previous day but still soft to the touch. 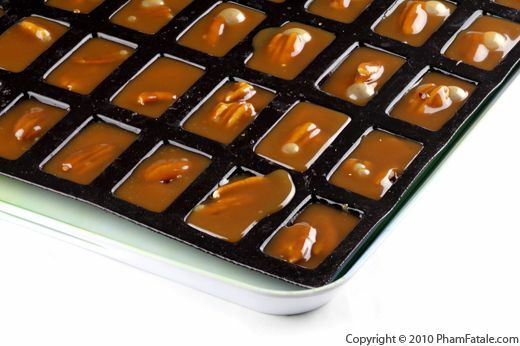 Cut wax papers in (6" x 5") squares and wrap each caramel in paper and twist the ends. Store in tan airtight container in the refrigerator or eat them right away. 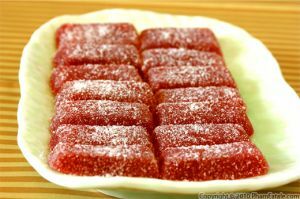 Corn syrup is an important ingredient for making soft, malleable candies, whereas honey enhances the flavor of the caramels. 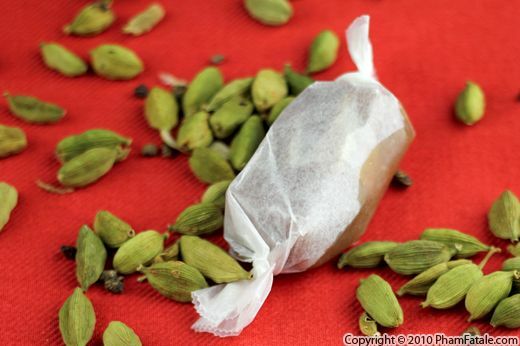 I used additional cardamom extract (I buy mine at an Indian store) for an intense flavorr. You can also grind more cardamom seeds into a fine powder and add the ground cardamom to the caramel. 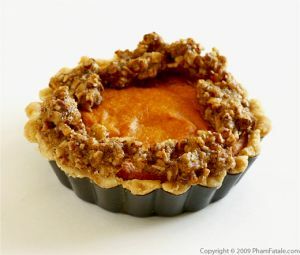 For easy unmolding, I used a Demarle 0.34-ounce, 84 Cavities silicone mini-financier Flexipan. You could use an 8-inch square pan, previously lined with parchment paper, then snip the candies into pieces after drying, but I find it a bit messy. When warming the cream, make sure not over-boil the cream, otherwise it may separate and the caramels will have an unpleasant layer of oil. I buy pure vanilla powder at my local market. It's called the Milk Pail Market. The address is 2585 California Street, Mountain View, CA 94040. You can also find it online. Roasting pecans: To release all the flavor and oil of the nuts, I like to roast them in the oven before using them. Spread the nuts onto a baking sheet. Place the tray in a preheated oven at 170°F. Roast the pecans for about 15 minutes. Let them cool completely. Published By: Jacqueline Pham on December 14, 2010.